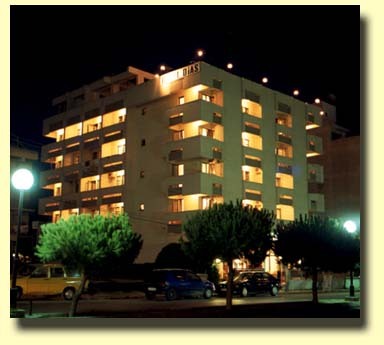 Hotel Dias is located at a very popular hotel district of Kusadasi, just a couple minutes away from the lively city center. Kusadasi is one of the most favorite resorts of Turkey, with her beaches, entertainment, nightlife and shops attracts the holiday makers while being very close to archeological treasures such as Ephesus, Miletos, Didyma attracts the historical explorers. Not to forget the important spots for Christianity such as Virgin Mary’s house, seven churches and many more..
Dias Hotel is a relatively small, family run budget hotel. accompanied with a freshly baked cake with Asli. A short walk along will lead you to the Kusadasi Town Beach, while just at the corner of Hotel Dias minibuses (dolmus) are running to the most popular beaches and Ephesus. It is so easy and cheap to travel around Kusadasi with the dolmus you will be so amazed.